Description: This is the Original Shadow Owner's Club Logo, with a Shadow on the wings of freedom. 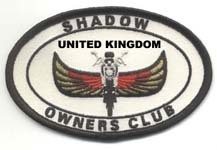 "Shadow" at the top with "Owner's Club" along the bottom. 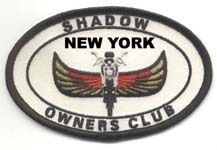 The patch is oval in shape, made classic and famous by oil companies and companies in the automotive industry.